Most of our regular menu items can be prepared to go and picked up during regular business hours, please call 604.336.5563 to place an order. Take our Bao Sandwiches to go! 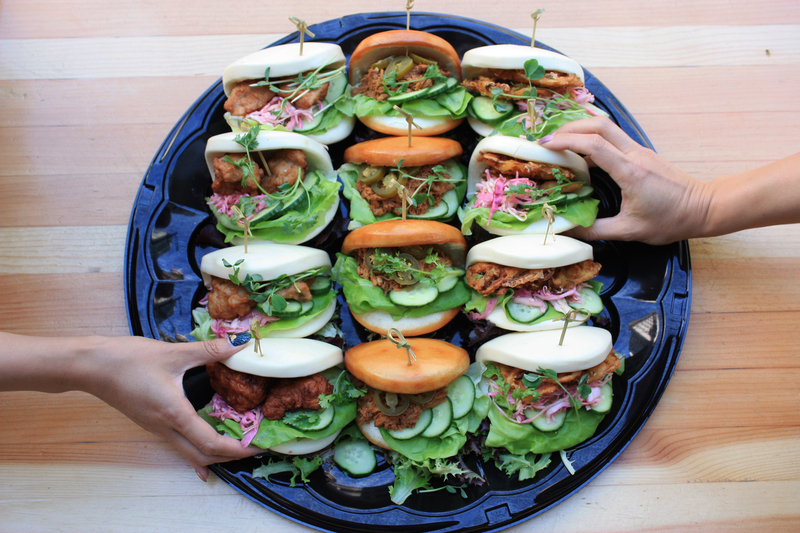 Perfect for your next event with friends, family, or colleagues, order one of our Bao Platters! Enjoy the Chicken Karaage, Pulled Pork, Vegetable Tempura Fritter, or an assortment of all types. To place an order, please call 604.336.5563 (Minimum 1-day notice); pick up between 11:30AM-8:00PM. We strive to accommodate most allergies, please notify us of any allergies upon ordering.